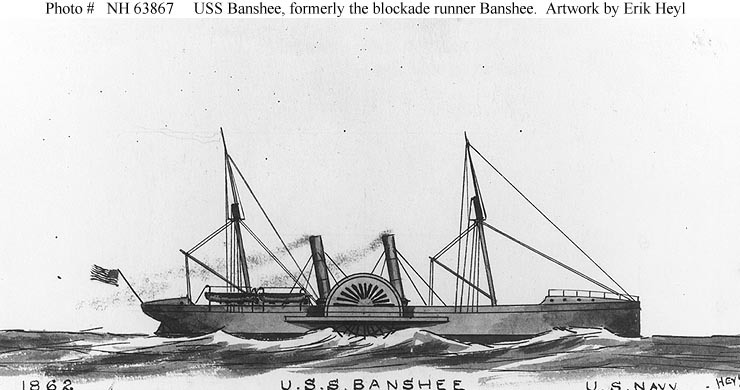 During the Civil War USS Banshee was assigned to the North Atlantic Blockading Squadron off Wilmington, N.C.
105k Halftone reproduction of an artwork by R.G. 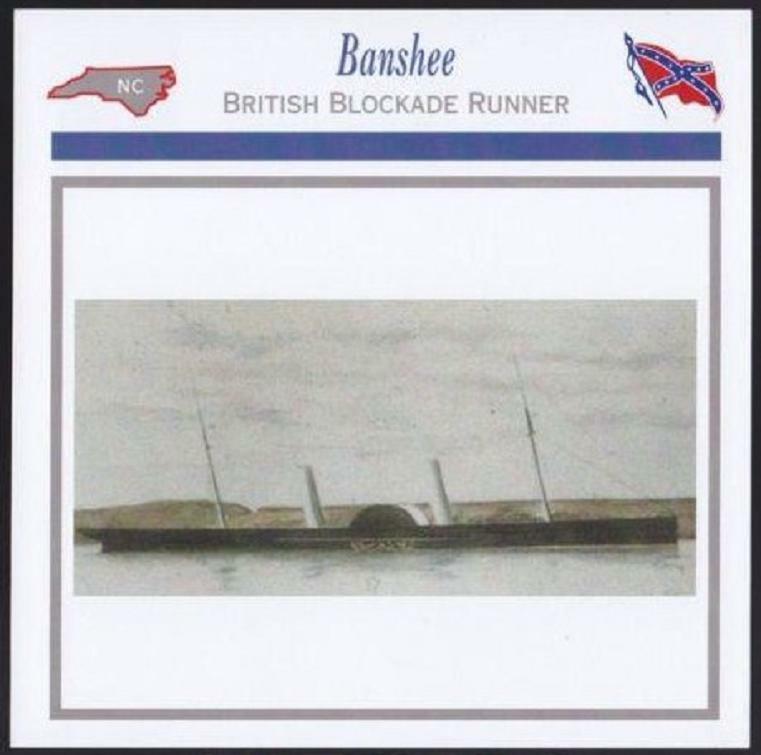 Skerrett, 1899 of blockade runner SS Banshee. 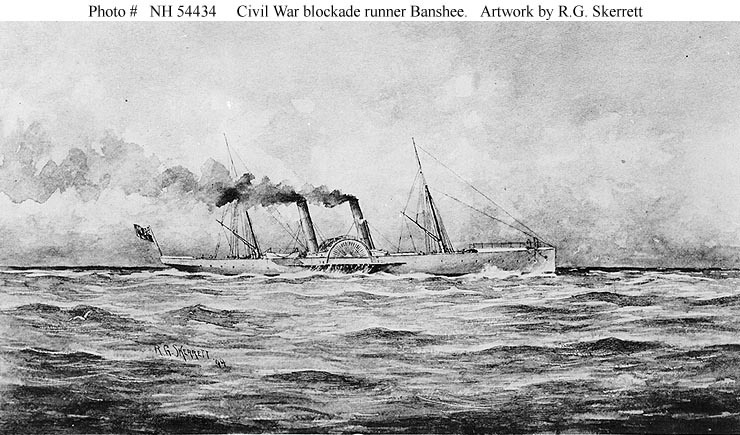 56k Watercolor by Erik Heyl, 1951, of SS Banshee, painted for use in his book "Early American Steamers", Volume I. Courtesy of Erik Heyl.